Every few months you hear about the next big company that has defied the odds to attract millions of customers and investment dollars. When you look deeper, you recognize that it often more than just smart people building cool things. In addition to being smart and building a great product, a founder usually has to be willing to ride against the tide. Ask anyone who was around when the hugely successful companies were initially founded and you will hear about how much they were criticized and laughed at. 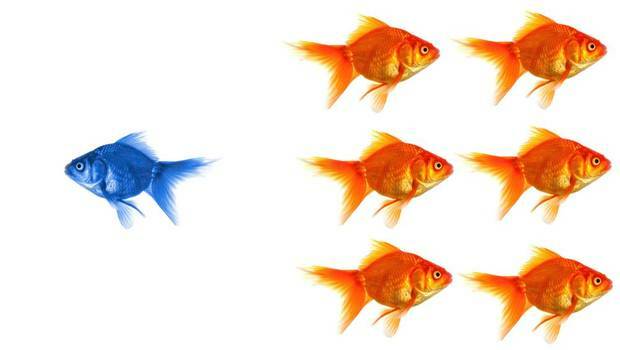 Being a contrarian in a social setting can often lead to arguments and disagreements. Being a contrarian in a business or product context can lead to success. Ideas sound terrible until they are not. Notable entrepreneurs and tech investors including Chris Dixon discuss how they look at markets, industry trends and opportunities to identify big ideas that go against the grain. Eventual market winners are not usually obvious at first. Beyond the other countless necessities required for a company to become massively successful (great product, great team, huge market), there are two specific requirements that must be present for a company to develop into the next big thing. First, you have to be right about something. Second, you have to be right about something that everyone else thinks is completely wrong about. Being a contrarian, while being right, can yield to first-mover and first-to-market advantages. Airbnb was created in an era where the average American consumer wouldn’t conceive letting a stranger stay in their home or apartment, much less stay in someone else’s. As social norm evolve, the practice of earning revenue for unused rooms (or couches) made sense. For the traveler, paying less than hotel rates to have a more social travel experience makes sense. Brian, Nathan and Joe realized this well before most others did and out executed existing competitors. Tesla Motors was founded at a time when major American auto manufacturers buffed the ability to produce stylish electric cars at scale. Currently led by Elon Musk, this company was only successful new American car-maker in the last half-century. Unlike modern tech companies, building an auto company requires massive capital investment and infrastructure development, which is particularly difficult when industry experts call the move crazy and not profitable. Saleforce.com was built during a time when software-as-a-service (SaaS) business model was still considered crazy. They moved CRM software to the cloud while competing firms lived in a desktop/download environment. Marc, coming from the enterprise space in Oracle, recognized the opportunities to make the user experience better while lowering costs for sales teams to utilize CRM technology. Twitter was founded years after Facebook established dominance and simplified the way people communicated with the world. It gained mainstream/celebrity interest quickly and created network effects that differed by allowing people to focus on interests/people/topics they care about. Jack, Ev and Biz were right when they realized people want to broadcast things to the world (beyond their circle of friends) and follow content in a social format. Netflix was created in 1997 and focused on making the customer experience better by charging a monthly subscription and eliminating late fees. Blockbuster was the clear market leader and charging late fees was a large portion of revenue for this industry. Removing this seemed crazy and unprofitable. After winning on that front, the company upped the ante once more by moving to a digital model that allowed customers to receive content on demand, anytime, at no additional cost. So, when these companies are first starting out, they tend to sound like a bad idea. Once enough success factors fall in place, these companies go from being tremendously large opportunities. To be clear, I am not saying that you cannot be considered a successful company by following the path of others. I’m saying that your path must be the right path and should be one that doesn’t look easy or entirely logical. Fred Wilson said it best here when he said that being a contrarian can pay off significantly for entrepreneurs and investors.